9:23pmET: OK, buckle in -- The Computer has one that is exploding off the computer screen...Oakland -7.5 hosting NYG. The Giants have 2 OLs down. Several LBs down, and now their best player (Janoris Jenkins) is down...and Oakland with everything to play for and their internals are a lot better than I realized. Vegas says OAK -7.5...and The Computer says -18.5. This is our BEST BET of the week, no doubt. No Michael Crabtree is actually a good thing...or at least neutral. More Cordarrelle Patterson makes this white hot. Jump on this because this line may be -9.0+ by later in the week. 8:55pmET: If the Saints are going to be without both CBs again (Lattmore and Crawley), the The Computer says Carolina is a favorite not a -4.0 underdog. I'm pretty sure Lattimore will be out, not sure about Crawley. 2:41pmET: This one jumped out...CLE at LAC is Vegas line at -13.0, The Computer says -20+. If LAC can dismantle bad BUF and bad DAL...what will they do, at home, to CLE...with EVERYTHING to play for with KC collapsing. This is the early favorite for The Computer's BEST BET. Love it under 14.0, not as much at 14.0 or higher. You might want to get in early here. 1:10pmET: I've only had a chance to mess with 4 games of pre-analysis on Week 13 handicapping but a game that jumped out on the early line -- IND at JAC -9.5. The Computer says Jags by 15+. The key here could be two-fold (1) The most sacked team in the NFL faces the defense getting the most sacks. (2) If Rashaan Melvin is out and 1 or both of the Jags injured OLs return -- that 9.5 is beautiful, a nice under-10 line with a team that should dominate both sides and the Colts missing their best defender, maybe. 12:46pmET: The arrogance of Sean McDermott announcing 'Tyrod Taylor is a out QB for this week'...unless this is some masterstroke of making the team hate him and rally up to show him...it's going to cost McDermott big time down the road as he tried to get free agents, etc. If you're a decent free agent with options in 2018...you want to play for Stone Cold Sean McDermott with all his current employees not giving glowing reviews, and living in Buffalo...or would you go to sun-shining LA to work with the progressive offense and respectful Sean McVay and his lovable, proven defensive coordinator and the can't-help-but-love special teams coach? 10:40amET: I almost forgot...everyone who keeps thinking "The Computer can't keep this up, right?" 4-1 this week in the Blazing Five. I think that brings us back to 75.0% for the season. If The Computer goes 0-25 to finish the regular-season Blazing Five...it will still wind up with a winning record for the season. 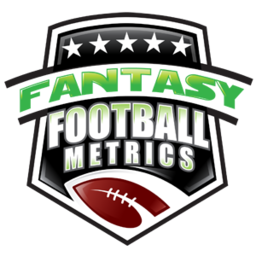 I'll be early looking at data for Week 13 this afternoon and will let you know what jumps out...like CAR and WAS jumping out at us last week early (both $$$). -- Well, we're 12 weeks/11 games in (almost) to the fantasy season and I've never seen so many key/playoff life games riding on tonight's various player outcomes nor so many 6-5/5-6 teams that are going to play do-or-die playoff games this upcoming week. This is what we wanted, for those hanging in there...a slow start, mass injuries...you just wanted a chance to get into the playoffs. Here it is. We just need to make the playoffs. How many times have you cruised through the regular season, won a division, only to lose in the playoffs to some yay-hoo team? Many of us need to be that yay-hoo team this year. Good luck to those needing it tonight and this upcoming week!! -- Something to watch for you Bears' fans and dynasty Mitchell Trubisky owners -- WE WANT THIS RUMOR TO BE TRUE...Eagles QB coach John DeFilippo as the new Bears head coach in 2018. I'll elaborate more in January. -- Denver will likely push Paxton Lynch again, his injury is only day-to-day. I suspect he'll miss Week 13 and be back for Weeks 14-17...which effects Demaryius Thomas more than anyone. You likely can't count on him with Lynch it looks, especially in any tough matchup. -- Damien Williams is probably done for the year...Kenyan Drake may be the top free agent guy this week, where still available.